This is a re-make of one of my very early cakes in my career. Since then, it has been pinned, shared and re-posted thousands of times. 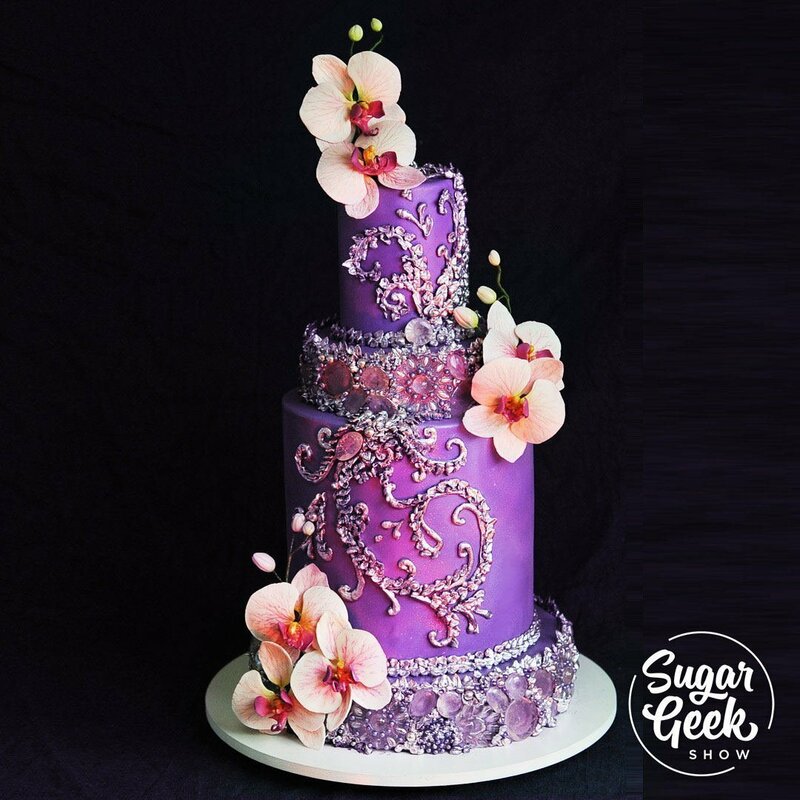 I have always had a thing for shiny edible bling on cakes and get many requests on how to re-create these edible jewels. So here it is! 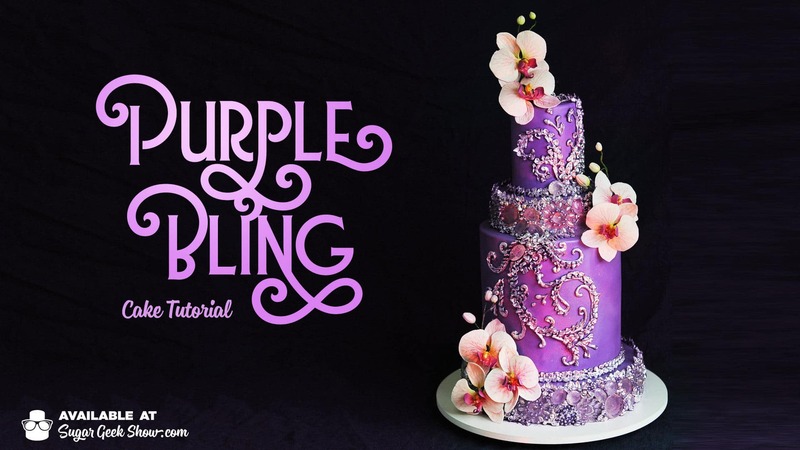 How to make the purple bling cake complete with edible jewels and silver piping and gorgeous, life-like gumpaste orchids!